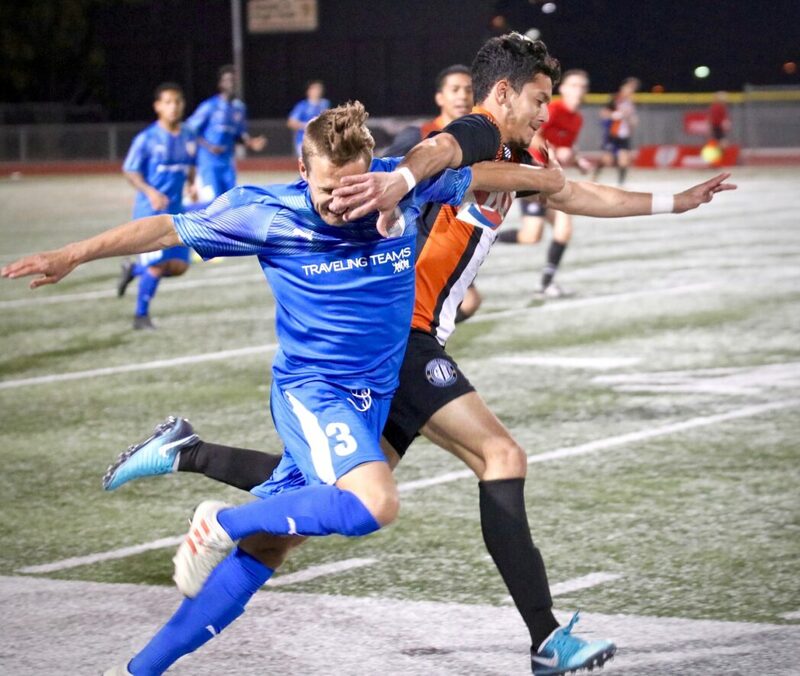 March 30th, 2019 — ASC San Diego unable to clinch third victory in a row after suffering 1-0 loss against Southwestern Conference rivals Orange County FC. 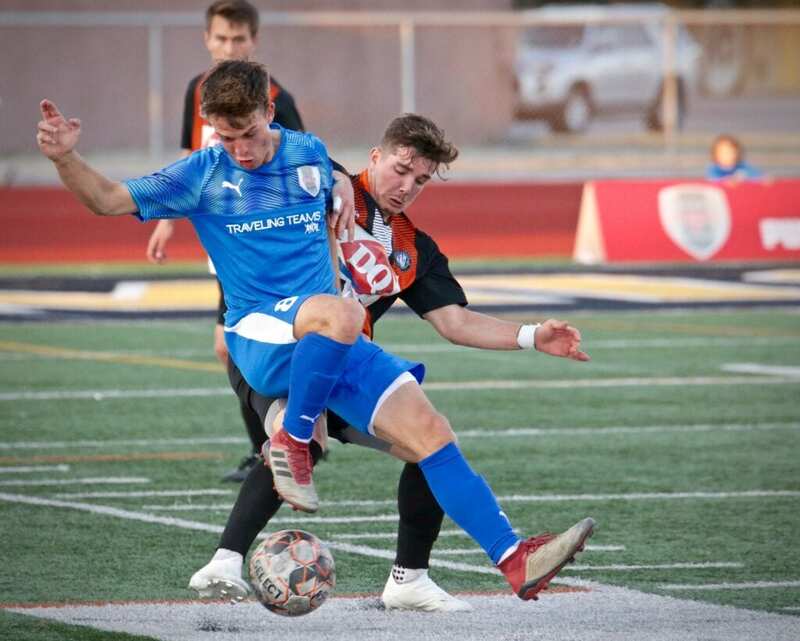 Both ASC San Diego and Orange County FC looked to retain possession early on which resulted in a series of exchanges between the two sides. Staunch defense from the two teams led to the majority of play being unable to make it past the middle third of the pitch. 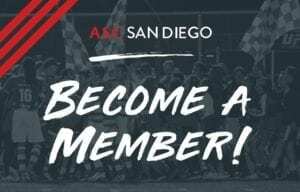 ASC San Diego played strong offensively against Orange County FC’s extremely aggressive defense in which they utilized many double teams in order to attempt to thwart forward movement. Numerous times ASC were able to control the play which led to several great chances including a cross in front of the net from #7 Christian Enriquez just past the head of #8 Dallin Cutler. 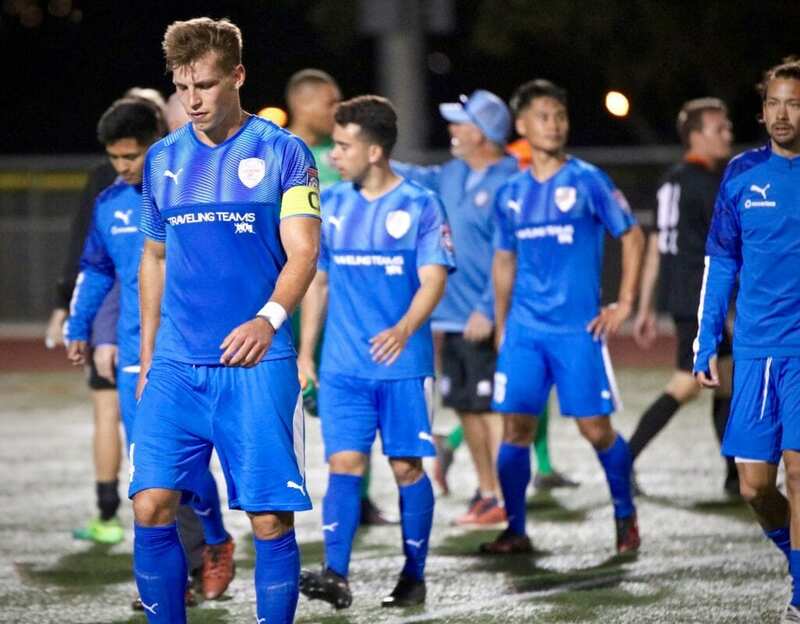 OCFC thought they found glory in the 6th minute with a goal that eventually got called back due to offsides causing a huge sigh of relief for the home team. 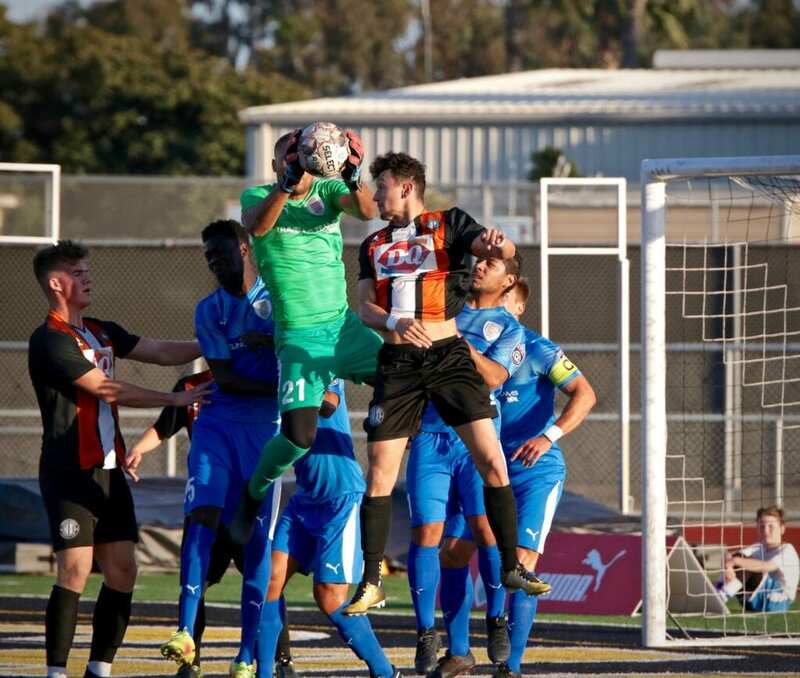 The relief was a short lived as Orange County scored the first and final goal of the match after a corner kick in the 34th minute found the head of OCFC defender #16 John Ryan Holland directing the ball just past ASC goalkeeper Jean Antoine. 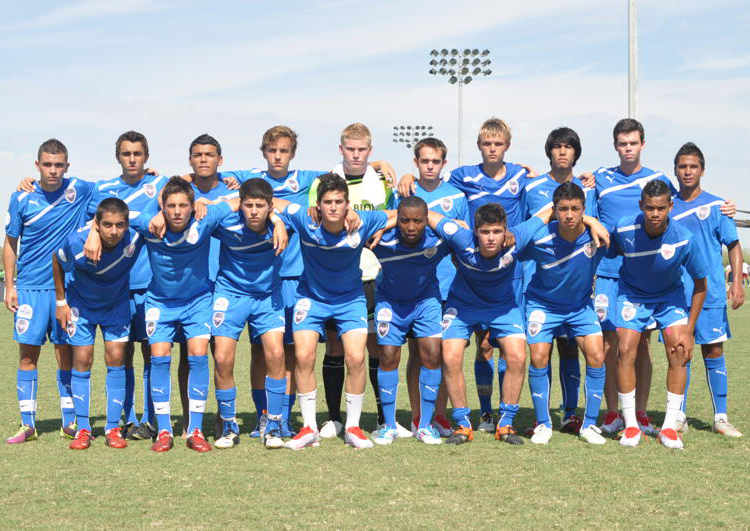 The last 10 minutes of the first half saw an insurgence of pressure from ASC San Diego as they tried to equalize. Despite the offensive pressure, including a couple scoring attempts from C. Enriquez and some heart-stopping saves from the masterful hands of keeper #21 Jean Antoine, ASC went into the locker room one goal behind. 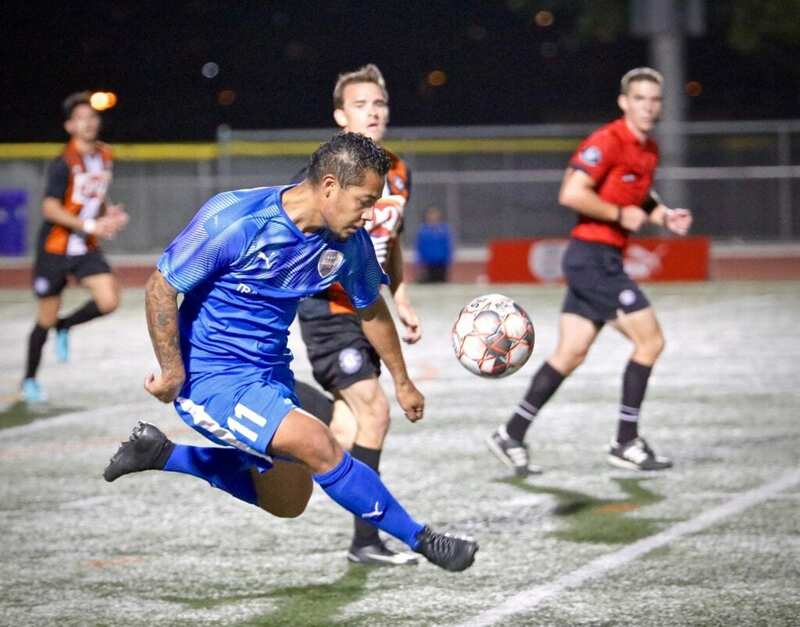 Aside from Orange County FC being presented with a couple great scoring opportunities right at the start of the first half. They were awarded 2 free kicks at the with in the first few minutes. But they were unable to capitalize. 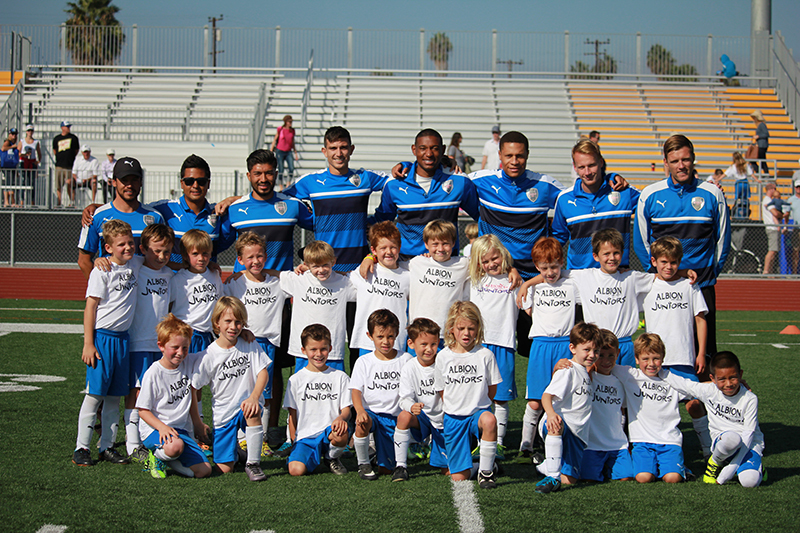 The home side worked the ball beautifully opening up the play for ASC to take their chances. This included a #8 Dallin Cutler strike, which much to the OCFC keeper’s relief smashed off the top of the crossbar for a goal kick. ASC were awarded with a few more opportunities in the last 10 minutes of the match. #9 Anthony Virgara showcased his physicality and skill as he snatched up a loose ball from an opposing defensemen and layed in a cross that was begging for someone to tap in the would be equalizer. This is was the last good chance ASC to find the back of the net as the referee called the match after 90 minutes of what was a disappointing night for ASC. 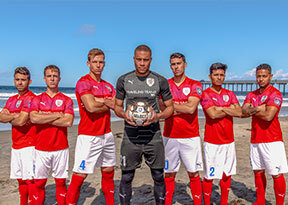 The team has a two day break and is back on the home pitch at Mission Bay Stadium on Tuesday, April 2nd to face off against High Desert Elite FC at 6PM.